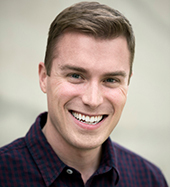 Jonathan Friday (Taylor ’10) is a multidisciplinary creative designer at Walt Disney Imagineering. Currently focused on development at the Tokyo Disney Resort, he has specialized in “blue sky” concept ideation and franchise management, also contributing to media-based attractions including Soarin’ Around the World and the Thea Award-winning Star Tours – The Adventures Continue. He was recruited through the 2010 Imaginations Design Competition. Jonathan has also freelanced as a writer of faith-based children’s media. He lives in Burbank, California. 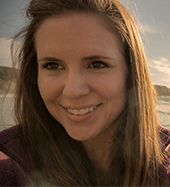 Katy (’09) is an NYC based nature and wildlife documentary editor who’s worked primarily for National Geographic. Currently, she’s with Smithsonian Earth and edits her own work on the side. In her spare time she enjoys outdoor trad climbing, international backpacking, and Mexican food. She’s filmed, produced, and edited a wildlife conservation film for a national park in Rwanda, edited for the Emmy nominated National Geographic Explorer episode on the illicit ivory trade, Warlords of Ivory, and edited web docs for the Google Made With Code initiative, which encourages young girls toward coding careers. Katy aspires to eventually return to the Sundance Film Festival as one of the filmmakers some day. Ben is an established commercial director; having directed commercials for such global brands as Harley Davidson, GE, Verizon Wireless, Oscar Meyer, and Wilson Sporting Goods, among others. 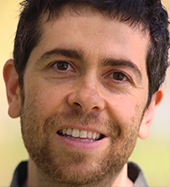 Eisner also has extensive experience working as a director of photography and editor. Prior to his commercial work, Ben directed numerous music videos, television pilots, and documentary projects for marquee music companies like Capitol Records, Warner Brothers, Sony BMG, and EMI Music Group. In 2017 Ben is directing The Divine Comedy of Thomas Merton, a feature film written by Eisner and produced by Mike S. Ryan of Greyshack Films.